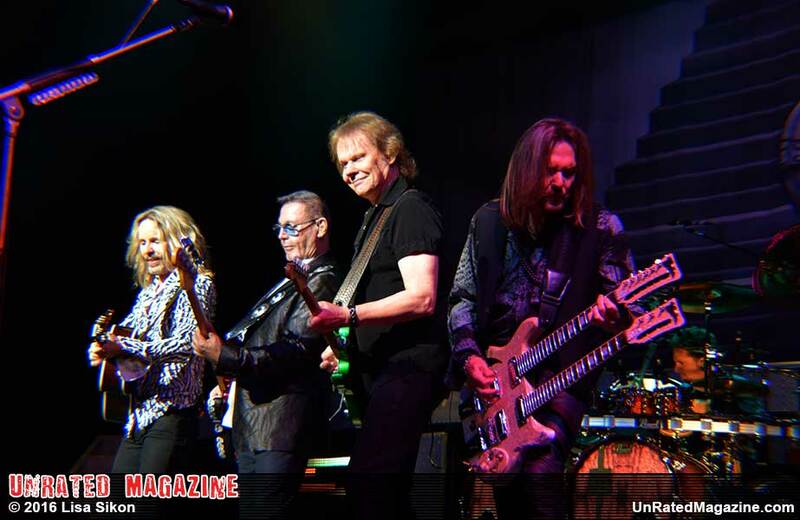 Although I am familiar with many of Styx's songs, I had never attended a live show. I admit before the show I was a bit skeptical because I had seen some rock legends that did not live up to the hype of their past, but Styx was just phenomenal. From the moment they came on stage to the final minute they put on an energetic and entertaining performance. This show was dedicated to Lawrence 'Renegade' Gowan who is a former Pittsburgh Steelers defense player and was inducted into the Football Hall of Fame this year. On January 5, 2002, the Steelers were in a playoff game with the Cleveland Browns and were losing. In the third quarter, the song Renegade was played and ignited the crowd-the team responded and eventually won the game. During the third quarter of every home game, defensive plays are shown with Renegade playing in the background. Lawrence 'Renegade' Gowan was in attendance, and the crowd gave him a warm welcome as he took his seat. The show started with each member of the band entering the stage on a raised platform. The crowd was definitely older, but enthusiastic. The first song was "Grand Illusion." The energy from the band was infectious; they just seemed to be having fun on stage and it definitely showed in the music. Lawrence 'Renegade' Gowan was just amazing on the keyboard and vocals, playing on a small stage that rotated around so you could see all angles of his performance. 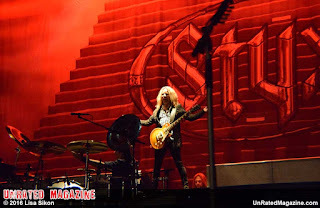 Tommy Shaw was definitely in the zone, having fun and doing a bit of showing off, much to the crowd's pleasure. James "JY" Young was in control, introducing the members of the band, bantering with the audience and playing his guitar with incredible skill. Ricky Phillips and Todd Sucherman were in sync. Chuck Panozzo, the original bass player, did show up later in the show, he and Ricky played the bass together for a song or two.If I had to pick a favorite song, it would have to be "Snowblind." The harmony was perfection. The vocals on all the songs were strong and clear. The band often spoke with the crowd before each song and they were interesting and amusing. The audience ate it up. It clearly added to the performance and made it seem like a more intimate show. There were couple of covers thrown in; "Space Oddity," "Rocket Man," and "Bohemian Rhapsody." The band encouraged the fans to sing along and the crowd responded enthusiastically. At one point in the show the crowd was encouraged to light up using their cell phones, instead of lighters used in the old days. Benedum Center for Performing Arts became magical, with hundreds of lights illuminating the crowd. "Crystal Ball" turned forty this year, the song has only gotten better with time. The live version was beautifully performed, mesmerizing the audience. In the middle of the show, before the intermission, a video of Lawrence 'Renegade' Gowan's career plays was shown with Renegade as the audio. JY stayed on stage to watch. It was a nice tribute to a great Steeler defenseman. Kevin 'Renegade' Greene was invited up on stage and many in the crowd responded by waving their terrible towels. One of my favorite parts of the show was when Lawrence Gowan talked about his dad in the Royal Navy during World War II (WWII). He named a beautiful piece after his dad's navy ship, the Keydive. I was astounded by the talent that went into the composition and performance of this piece of music. Hauntingly beautiful and creative, it was played with such skill and talent. I absolutely loved it. "Come Sail Away" was done with a lot of energy by all members of the band. Gowan was dancing ecstatically around the entire stage, igniting the crowd. His energy and stamina were amazing. In fact, the entire band never seemed to tire during the show. They genuinely seemed at ease on stage and just having fun, talking with the crowd at times, throwing guitar picks into the air for souvenirs. The final song was "Renegade." Tommy's vocals were soulful and, again, the harmony from the rest of the band just added depth to the song. I didn't want it to end. I loved every minute of this show. 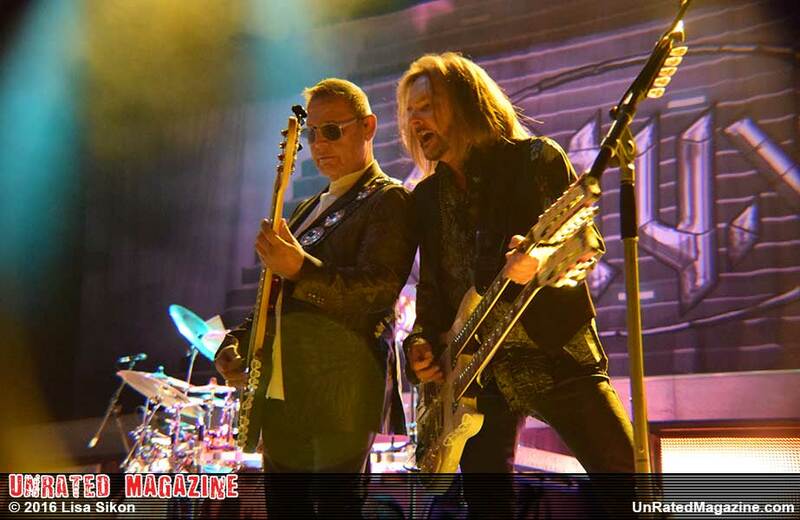 I would definitely suggest to anyone to attend a live Styx show, it is worth every penny of the ticket price. The performance, talent, skill and depth of the band is amazing. They are true rock legends that haven't seemed to age one bit. The vocals are still as strong as the original recordings. This may have been my first Styx show but it will definitely not be my last. This is a group that is only getting better with time and should be a must see on everyone's list.